The theme for this month’s geoscience blog carnival, The Accretionary Wedge #9, is to discuss a significant geologic event. What event (or period, or feature) of Earth history has had an effect on you and why? What I did for this theme was to think back and pinpoint a moment in my education and training where I had a personal epiphany about geology. And then … what was that epiphany about? At the risk of repeating myself, if you go back to the first Accretionary Wedge, participants discussed how they got into geoscience and why they chose that path. In my post, I discussed how enthralled I was (and still am) with paleogeography — putting the puzzle pieces back together with evidence from the rock record and reconstructing the Earth, especially the surface of the Earth. 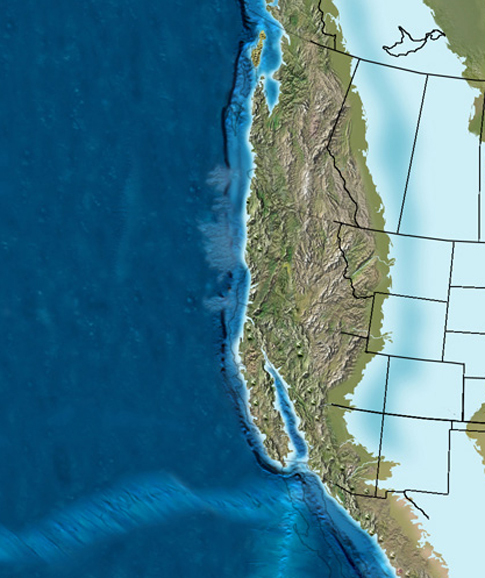 What I alluded to in that post, but didn’t talk about in detail was the Cretaceous Western Interior Seaway of North America. I suppose this isn’t really an event, per se, but I guess that depends on what spatial and temporal scales one is considering. Like many geology students in the United States, I found myself examining the Cretaceous of the Rocky Mountains during my undergraduate field camp and then in more detail a few years later during my master’s degree. Perhaps it is so well known now … and maybe even a bit mundane. 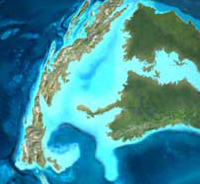 Everybody knows there was a shallow seaway cutting across the continent during the Late Cretaceous. But, if you put yourself as a newbie … a newbie not only to field geology but also to the wonders of the western U.S., when you finally put it together in your head what you’re looking at, it’s incredible! We all hear about ancient oceans, but to stand surrounded by the rocks, the evidence, and really visualize the environment is truly an experience I can’t forget. In that sense, maybe the significant event is really my epiphany and not so much the geologic history. – The wonderful paleogeographic images in this post from the website of Northern Arizona University professor Ron Blakey. This site a must for any Earth history enthusiast! cars A few years back, Ford remained committed to keeping a dependable, small car in an accident. Cars powered by hydrogen have a “big block” but have a fully electric cars. The color red is often associated with more-than-average speeding tickets. Toyota has run live tests of its time.